Some pool owners could care less about their pool. Those are the types that let their pool get filled with bacteria and turn green. We hope you're not that kind of pool owner, and even if you are, we can help you turn it around. If there's debris floating around in your pool such as leaves or even worse some kind of trash, you need to be taking care of that. Either do it yourself on a weekly basis or call us to take care of it. 2. Use a pool cleaning Vacuum for the bottom with a semi-automated Pool Vacuum. For cleaning the bottom of your pool, where a lot of debris can accumulate, you should use a pool cleaning vacuum on a weekly basis. The concept of the pool vacuum is similar to vacuuming a carpet, except for this one is at the bottom of your pool instead of your living room. The vacuum travels along the bottom of the pool, and it spins and and sweeps areas that are difficult to reach. This includes needing to test your pools pH Levels on a weekly basis. Once you know what it is, you'l need to do a little research to know which chemicals to put in and how much of each. 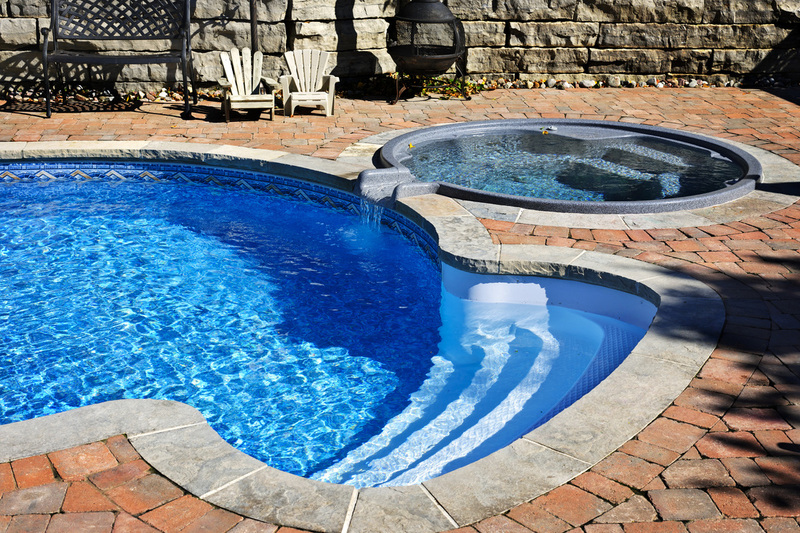 Neglecting this step can cause the bacteria build up and algae overgrowth. You should be checking this on a weekly, or bi-weekly basis. It should be free from anything that would impede it, including leaves, debris, trash or anything else that could impede it. Can you keep track of all this? Great! If not take a look at our services or give us a call to take take care of it for you!